An interview from the 2018 National Association of Broadcasters Convention in Las Vegas with Chris Perry of LiveU. LiveU's award-winning technology enables live, wireless video transmission from any location around the world with lightweight, easy-to-use equipment. From transmission backpacks to smartphones, and satellite/cellular hybrid to external antenna solutions, LiveU offers a complete range of devices for live, mobile video transmission anytime, anywhere. 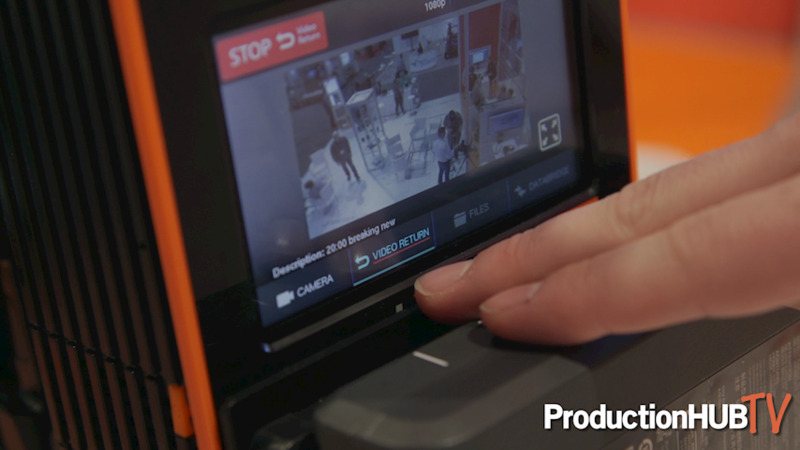 In addition, LiveU offers extensive cloud-based management and video distribution solutions. LiveU’s solutions include multiple 4G LTE/3G, HSPA+, WiMAX and Wi-Fi cellular links, which are optimized for maximum video quality based on the available network conditions. LiveU is taking its live 4K HEVC product offering to the next level with its newly enhanced LU600 HEVC portable transmission product suite. Thousands of LiveU’s LU600 HEVC units have been deployed worldwide, recognizing the unit as the best bonded cellular solution in the industry. The product suite now includes 4K SDI offerings and built-in global roaming capabilities. “The market response to our LU600 HEVC solution has been tremendous. Customers worldwide have been telling us that the quality of their HEVC live video coverage is exceptional, enabling them to replace traditional transmission methods completely,” said Samuel Wasserman, LiveU’s CEO and Co-founder. “We’ve already seen our HEVC solution used successfully during the recent Winter Games and we’re now looking ahead with anticipation to the FIFA World Cup™ in Russia. LiveU is rolling out its professional HEVC 4K-SDI card as an additional 4K product offering within the LU600 suite, offering the ultimate video performance in live streaming for live sports and events, as well as global newsgathering. The LU600 4K-SDI solution facilitates professional 4Kp50/60 streaming for top-quality production, supporting VR and 360 applications. Supporting both 12G-SDI and 4x3G-SDI interfaces, the solution provides an upgrade option for the existing LU600. The LU600 solution now offers a fully integrated hybrid roaming solution for hassle-free local and global operation. With the new dual-SIM modem configured with roaming SIMs, every LU600 can be a local and global unit without needing to replace or obtain local SIMs in over 100 countries worldwide. The LiveU units are ready to roam instantly. Other key product enhancements for the LU600 HEVC product suite include Video Return, targeted for professional broadcasters, enabling field crews to see what’s currently on-air and receive teleprompt information during live sessions.